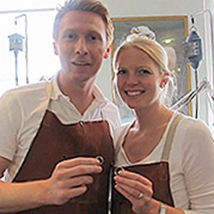 "thanks to Simon’s attention to detail, we couldn’t wait to be married!" 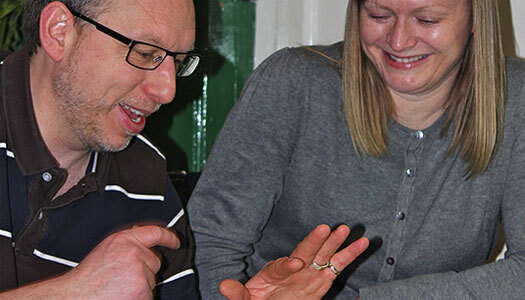 "it was a great feeling to make your own rings – the team were brilliant!" 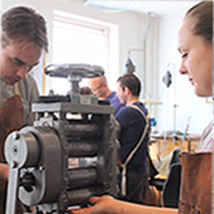 "A great experience – I would recommend this to any couple who want to make their own wedding rings"
Arrive at the workshop in Hatton Garden. 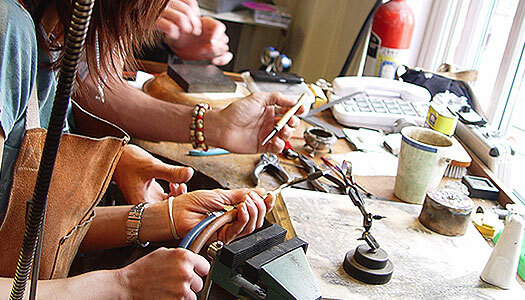 Have a cup of tea or coffee and discuss design ideas with your designated jeweller and designer. First of all we melt the metal using gas and oxygen and pour the molten metal into a skillet. 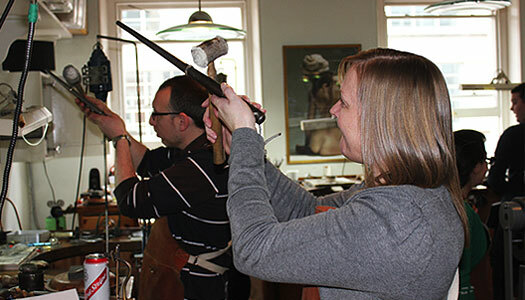 We then mill the metal out into square wire and then into D shape, Flat or Court shape wire. We saw the surplus metal off either end and bring the two ends together. 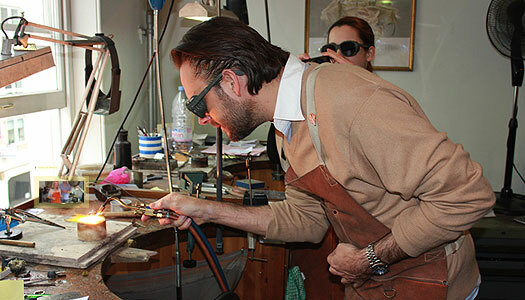 Using specially shaped pliers we bend the metal into a rough ring shape and size. 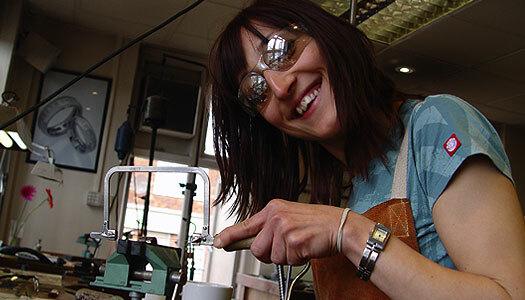 Using specially treated platinum and gold metals solders we join the two ends together. We put that final polished lustre to the very special rings.